Choose a class or workshop featuring my signature methods of fast, accurate rotary cutting and speed piecing or appliqué techniques! 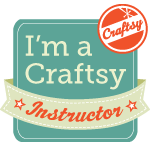 With Craftsy you can watch classes on your own schedule: Wherever, whenever you want. Your access to a class NEVER expires! 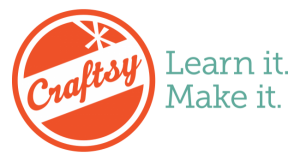 Take Craftsy with you. Apps for both iPad and iPhone. 100% money back guarantee. Take advantage of one of Kimberly’s classes below and get a great discount today! Create fascinating appliqué with efficiency & confidence. Learn Kimberly’s techniques through three beautiful projects. Plus, unlock the speed & accuracy of the AccuQuilt GO! Fabric Cutter. 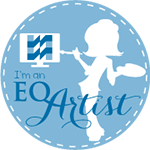 Get tips for using the AccuQuilt GO! Fabric Cutter to create all the pieces for your projects. Get even more inspiration with three included patterns. Break down complex blocks into simple units you can piece like a pro! Create sophisticated quilts with easy-to-use precuts with her online Craftsy class, Magical Jelly Roll Quilts. 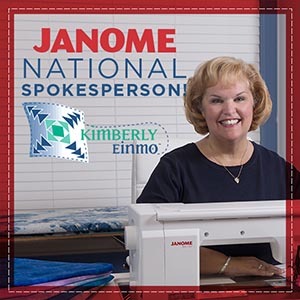 Kimberly shares the piecing, applique and machine quilting methods she teaches around the world and the spirit of fun she brings to the work! 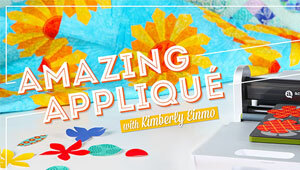 Intermediate and experienced quilters will love Kimberly’s time-saving tools and techniques. 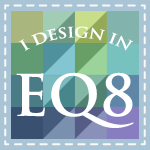 Make one of five included patterns, or use what you learn to create your own designs. 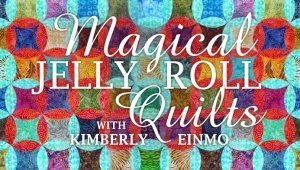 Tet Kimberly guide you on a thrilling journey of quilt construction. 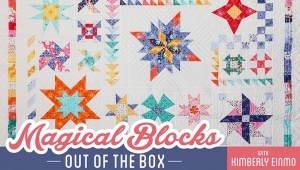 In each lesson she’ll clue you in on unique ways to create and assemble blocks with easy-to-learn methods and time-saving techniques. Choose your own adventure – select instructions for either a crib, wall hanging, queen or king-size quilt – and construct a gorgeous quilt with a stunning secondary design using batiks or other fabrics. The larger the quilt size, the more the secondary design will be revealed. 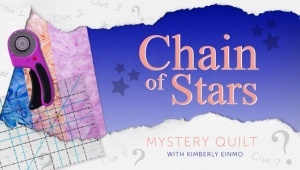 Get a clue – enroll today in Chain of Stars Mystery Quilt.